Grey Goose is high quality French vodka and is available at a low Grey Goose cost at Duty Free Depot. USA customers and world wide customers can enjoy cheap Grey Goose as well as free world wide shipping at this online shop. 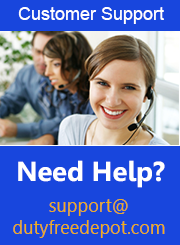 When buying from Duty Free Depot, you will enjoy excellent service and a dedicated customer support team. How much is Grey Goose? Grey Goose prices at Duty Free Depot are low and affordable. You can buy Grey Goose for a competitive price and have your order shipped all over the world for free at Duty Free Depot. The Grey Goose cost at this duty free shop will depend upon the type of Grey Goose that you order. 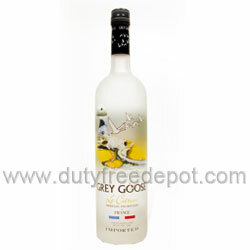 Grey Goose is available in the plain traditional flavor as well as in a lemon flavor. Grey Goose vodka has a crisp and smooth flavor which can be used in a number of different drinks. This vodka is also a great spirit on the rocks or in shots. The quality of products at Duty Free Depot is unmatched at any other online duty free store. In addition, Duty Free Depot guarantees that every product is 100% authentic. Best of all, the quality does not stop there. As a customer of Duty Free Depot, you will have access to a first-class 24/7 customer service department. Customer service representatives can be reached through live chat, online form, telephone or email and payments are conducted in a 100% safe and secure environment.